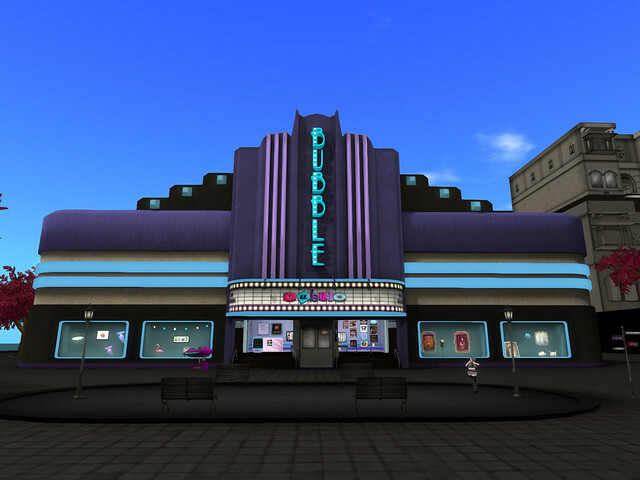 In this series on Bastet in Second Life I showcase my favourite Second Life stores. I introduce you with different types of stores. All the stores in this series have an inworld shop at the moment the post is written. Do you have suggestions for shops I should check out? Please leave a comment! As the next chapter in the series of My favourite Second Life stores has been long overdue I will now tell you about a store from which you can often see me wearing something. This store is called [ bubble ]. Owned and designed by moonbubble Gothly [ bubble ] has a wide variety of clothes, shoes, accessories, make-up and body parts from mesh to clothing layers. The designs are very unique and textures colourful and interestingly patterned. In the store you can find a full outfit, mixing and matching the different pieces. New items come in often so there's always something to check out. As I briefly mentioned above [ bubble ] offers all types of pieces of fashion. The store is filled with pants, tops, jackets, lingerie and other underwear, boots and then some. There are lots of mesh clothes and more traditional clothing layer and sculpt items as well. If you have a mesh body or mesh body parts the clothing layers have such appliers as Slink, WowMeh and more included. There are also nail appliers for your Slink hands and feet. The prices are very fair, so shopping here won't send you to sell your land and become one of those who are hanging about popular stores and asking strangers to give them L$. Upstairs you can find an outlet with discount items and there's a whole area of gacha machines. Group members also get free gifts in regular basis. Additionally you can find moon's designs from multiple different events all around SL. Some of these designs are completely exclusive for the event, so they aren't available in the main store. More information about the items and events can be found at [ bubble ] in SL blog run by moon herself. Visit [ bubble ] or shop at Marketplace!